You are here: > Blog > Would you like a better relationship with food? A number of years ago It became clear to me that basic calorie restricted diets do not work for most people. Most of the time they just don’t. If we are to be at all successful in achieving our true potential then for most if us we must change some of our basic beliefs and break negative food behaviour habits which have been built up over many years. We must try to have a better relationship with food. Of course, this in itself is not a straight forward process but as with many things in life often those which are the hardest reap the most rewards. I designed my 10 week program as a result of seeing many frustrated ‘dieters’ coming to visit me at my private practice in Sydney having tried numerous conventional weight loss programs. Nothing was working, at least nothing in the long term. We also know that statistically 97% of people who try a conventional calorie restricted diet put on the weight they lost ( and often more) within 12 months. 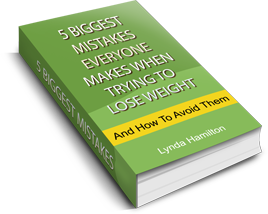 It became clear that basic calorie restricted diets do not work for most people. It just isn’t that simple. If we are to be at all successful in achieving our true potential then for most if us we must change some of our basic beliefs and break negative food behaviour habits which have been built up over many years. Of course, this in itself is not a straight forward process but as with many things in life often those which are the hardest reap the most rewards. Throughout the 10 weeks we work through many topics including mindful eating, self esteem and body image, healthy eating, compulsive eating, breaking the binge cycle, debunking diets and the importance of keeping ‘ sometimes’ foods in your diet. I believe that all of these components are crucial for ultimate health and wellbeing that everyone truly deserves.